KD campus located at Mukherjee Nagar, North West Delhi has been one of the best coachings to offer to coach in a variety of subjects, it has been giving great results and has brought education to a whole new level. With more than a thousand students who could make it to their dream colleges, the institute has proudly owed its success to the faculty heads and the teaching methods opted by the institute. Apart from just educating the students, K D Campus also focuses on the all round development of the students through the expert guidance. The institute aims at delivering the best to the students so as to seek the best results from them. Everything has changed since I've joined this foundation. Basic examination material, standard test course of action have impelled to score well. It has given me a great career. They taught me from basic to advanced level. Motivational sessions are coordinated to improve students’ presentations. They give genuine standards to the students concerning the test plan, traps to understand questions. Effective study material, experienced teachers who themselves have cleared the exams are so helpful for students, they guide them in such a way that they waste no time and effort and are on the right path to achieve their goals. They have amazing faculty members, provide right guidance and counseling required for the students to move in the right direction with enthusiasm being optimistic all the way. They are the best and everyone should take coaching from them for SSC exam preparations. They have staggering results every year, attracting the students more and more for bank/SSC coaching. Discipline and punctuality are strictly followed here, classes are interesting with a sense of humor and shortcuts are taught for the problems. I am loving the journey. I cleared my bank PO exam with their help, they have exemplary and amiable teachers, feels like home. It was my first coaching institute where I enjoyed learning. Management is the strength of the institute, They have a chain of institutes, they are unrivaled name and surely everyone should at least once try them before going anywhere for SSC/bank exams. Might name in the SSC/bank coaching in the city, they have very good infrastructure and all the modern facilities for the students. Quality study material and test series for the exam is provided, helping students brings out the competitive spirit and get success. I would like to thank kd campus for all their determined guidance and support they showered on me to help me to crack SSC exam. Weekly Mock tests are conducted here, helping students to know their level of intelligence and where they stand in the crowd. They help students to build on their weakness and get through. Its a dream come to a true place for the hard-working students. Daily practice is the most important aspect that kd campus helped me to develop in myself. Daily practice gives you speed and accuracy, that plays a vital role in any competitive exams. In the start, it looked little burdensome but with the time everything got to me so easily and today I am confident to take on any banking exam. They are the ultimate professionals in this field. They completely transform the students starting from making them hardworking to personality development, confidence boosting and most important making them believe that they can do it. Teachers here are really doing an excellent job, making the growing and learning minds to work in efficiency and in pace. They develop the habit of working smart work, doing homework and doing away with their hesitation to ask queries in the lads. Extraordinary platform. 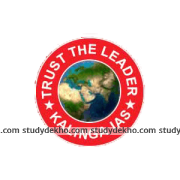 I have always recommended this institute to my friends and relatives for their excellent coaching services to crack SSC Exams. individual attention is given to each student. the students are taught the basics to clear all their concepts and they are made familiar with the exam environment final polishing is done by the regular mock tests. This is the best platform to learn and develop one's skills in a competitive spirit...mathematics is tough subject for most of the students who are preparing for competitive exam, but once learn the basics and shortcuts and techniques that are provided by teachers it becomes very easy to crack the exams which lead to success in the life. A purely service-oriented coaching institute. They are highly efficient in the services provided by them. They have the top rankers every year in both SSC and banking exams. The only problem here is the large strength in the classrooms and one has to be mentally alert all the time and take initiative and work hard seriously for his study. Expert faculty with their unmatched teaching skills keeps them grabbing top spots in the result every year. 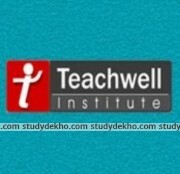 It is the best Institute for SSC/BANK coaching. It is a perfect institute for hard-working students, even the weak students are given extra time and attention to make them at par with others.